Why are we all attracted to the concept of luck? I once heard the definition of luck is “Opportunity with preparedness”. I actually like that definition that favors the prepared. On the other hand, I have to admit that I will take luck any way or any how I come across it. Are you lucky? How lucky are you? 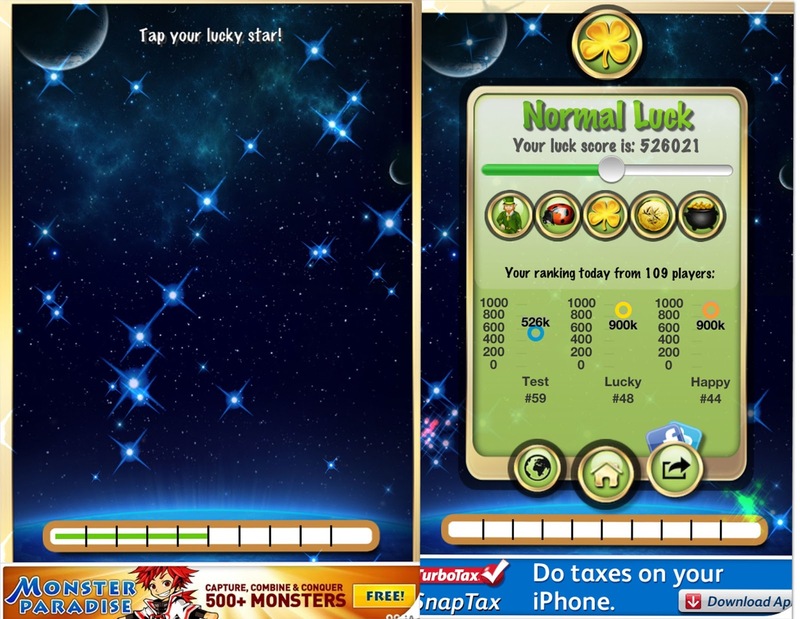 I can’t answer those questions but you may be able to find the answers in the Lucky Mon App! Take the Luck Test to find out how lucky you really are. 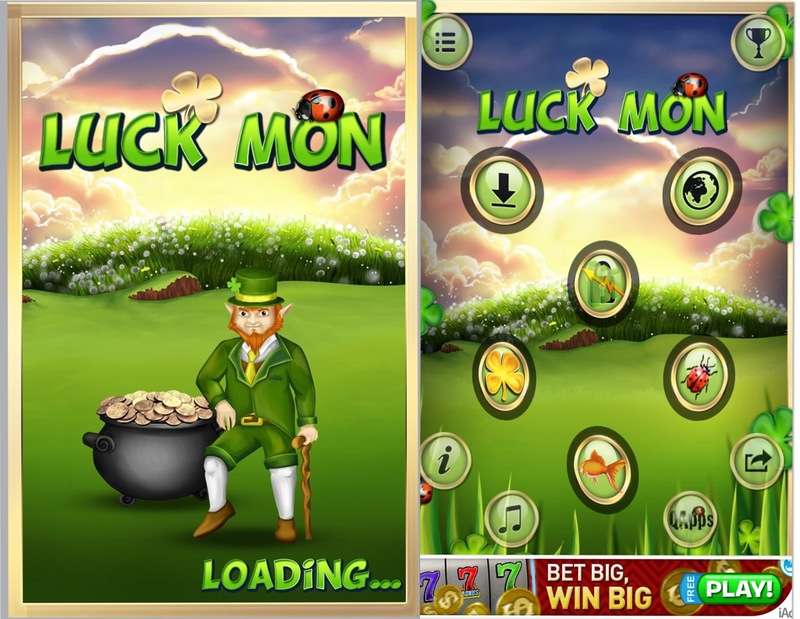 Could you be the luckiest of all players around the world today or did you have more luck yesterday? Compare your luck over days or weeks and with others in the Game Center. Participate in global happiness and luck assessment. Become the best seven-dot ladybug seeker, the fastest four-leaf clover seeker, or the smartest goldfish catcher...you will need good eyes, quick fingers and a bit of luck. - Try the 3 Seeker games - all levels now enabled!! It works! You are lucky: I'm having a 4 Valentine Homemade Soap Sachet giveaway going on now through Friday. I hope you'll stop in at Cranberry Morning and enter! Fun post. Hi Isabelle! I will check it out!